Do you guys use facial mists? They're basically the new toner (do people even use those anymore? ), performing as everything from a facial refresh to a makeup-setting wonder. 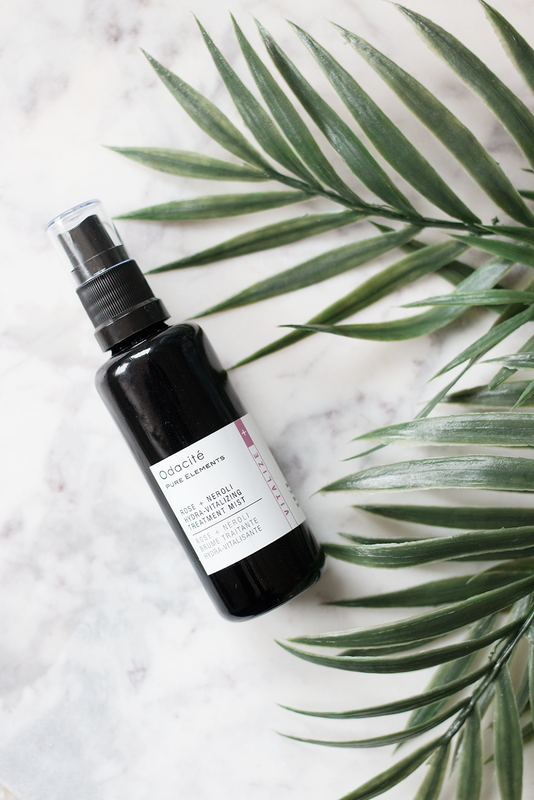 But the real reason to incorporate a mist into your skincare regime— regardless of the type or brand you may choose to use— is to help lock in moisture and the beneficial ingredients found in the rest of your products. That's right, it turns out facial mists are actually more than just a frivolous expenditure, which is how I previously viewed them (I'm looking at you, Caudalie Beauty Elixer). Rather than the traditional thermal water sprays— think 90's travel must-have, Evian, and the like— which can actually dry out your skin if applied improperly (you have to blot off excess water to avoid it evaporating, along with your skin's moisture— who knew?! ), opt for a hydrating mist packed with things like essential oils or fruit and flower extracts. They're great for on-the-go applications because they can refresh your makeup without dehydrating your skin, and when used before your serum or moisturizer, they actually help your skin absorb and lock in all those beneficial ingredients. Knowing this, I've been spritzing myself day and night with Odacite's Rose + Neroli Hydra-Vitalizing Treatment Mist ($39), and my skin feels infinitely more hydrated and dewy than it did before... because when you live in a winter city, you'll do anything to avoid that dull, lifeless look that comes courtesy of dry skin (believe me). So tell me: Do you use a facial mist, and if so, which one do you swear by? I'm all ears!